Will cordless phones interfere with wireless internet? How can I be sure that my connection to your site is optimal? The system always tells me that I've already moved or "it's not your turn"? What can I do? What does it mean when I get a message that says "Your session has expired"? How can I play at multiple tables at the same time? Can I log in using a different platform (Apple/Android device)? A network quality meter is available during the game, located on the bottom right corner of the game screen; it indicates the quality of your connectivity to our server. Q: Will cordless phones interfere with wireless internet? Q: How can I be sure that my connection to your site is optimal? If you have Windows XP, open the exe file "winmtr.exe". If you have Windows Vista or Windows 7, extract the files from the ZIP archive, right click on the "winmtr.exe" file and choose "Run as administrator" then press "Allow"
This file will be forwarded to our administrators for an investigation and we will get back to you. Q: Why should I clear the cache of my browser?? Open the Customize and Control button on the upper right. In the new menu select Empty the cache and accept the action. A: In case you are having technical trouble submit a problem report, click on the "Contact us" tab on the homepage and describe the issues you are experiencing in the text box.You can also look through the other questions on our FAQ page to check out if we have already answered your question. Q: The system always tells me that I've already moved or "it's not your turn"? What can I do? Q: What does it mean when I get a message that says "Your session has expired"? Q: How can I play at multiple tables at the same time? In your browser - open a second tab. Login with your account. Then copy the address from the address bar. Paste the address into the second tab. If you are unsuccessful initially, close the browser and repeat the same instruction. Q: Can I log in using a different platform (Apple/Android device)? A: Our site has a mobile version for both type of devices. For more information on mobile Apple/Android applications, please visit our article on the subject here. 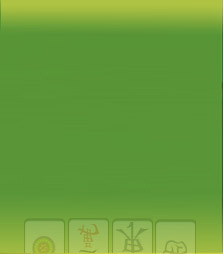 You can also find the app in the AppStore for free by typing "Mahjong Time multiplayer" you will find the app listed first and it shows that it is created by Jingle Prize, Inc.
You will be able to use the same account name and password to access the mobile application on your iPad and the application can be installed for free.